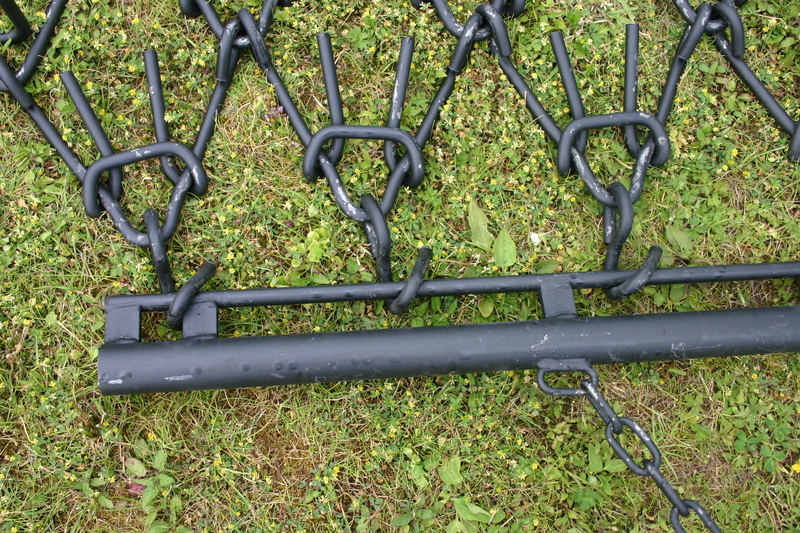 Quad-X harrows are 3 way harrows, manufactured from a 11mm high-tensile steel. They have been developed specifically to suit ATVs / UTVs (other standard harrows projection and angles are suited to tractors which travel more slowly). 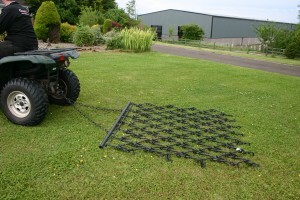 Suitable for golf courses, beaches, equestrian centres and football pitches. 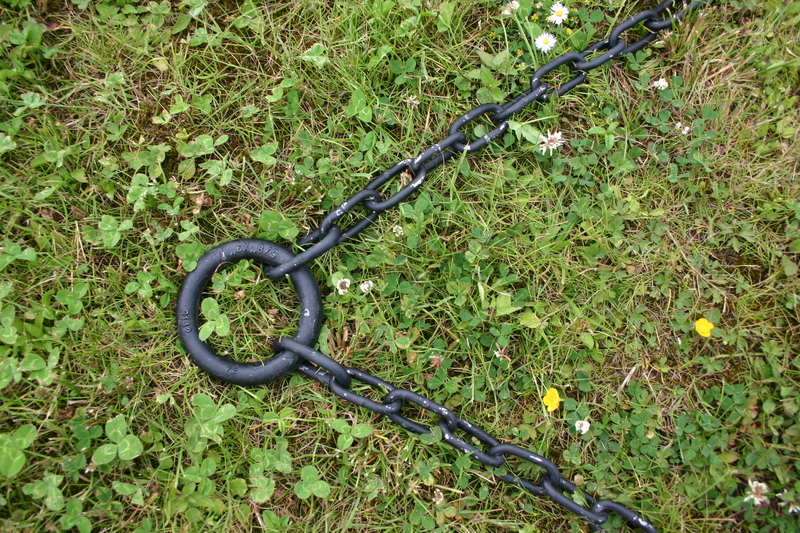 The chain harrow is available in 4ft / 1.2m or 6ft / 1.8m widths. 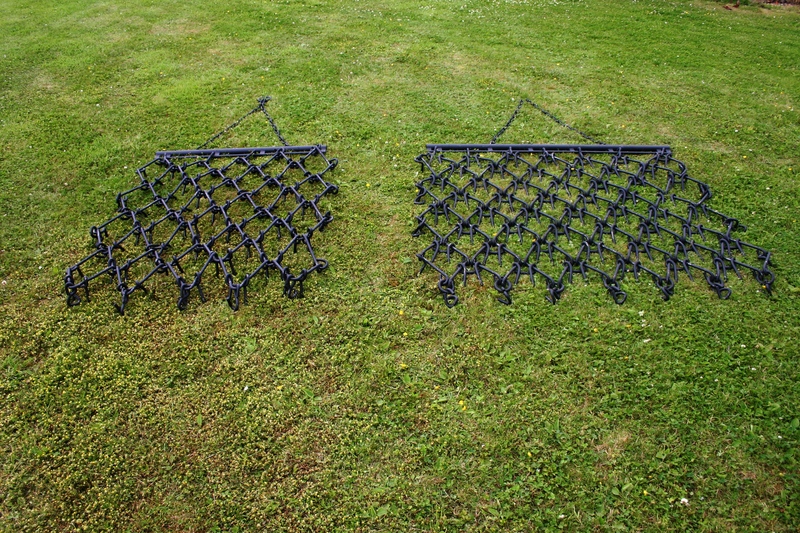 Both models are 5ft/1.45m long. 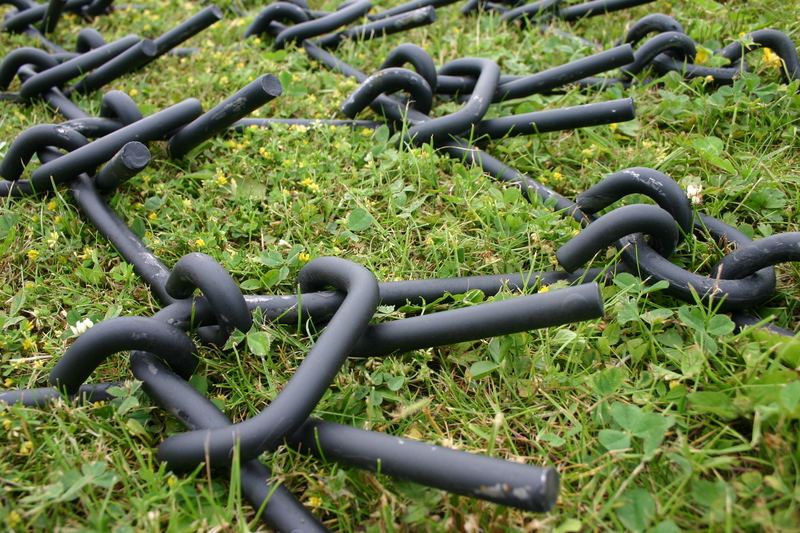 11mm high tensile steel. 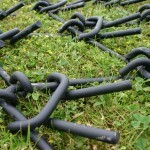 Strong and durable to get your job done for years to come. 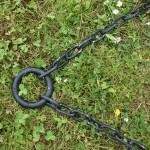 The harrow incorporates a series of protruding prongs. 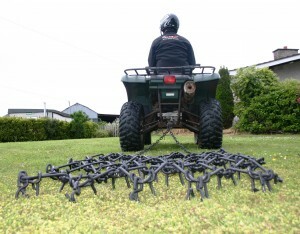 The harrow can be positioned in 3 different ways to suit the type of harrowing you want to do. 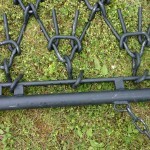 The drawbar pin will easily attach to any 50mm ball hitch and can be used with a quad, UTV, 4×4 or tractor.